The 5 days from January 27th to February 1st are a time of great sadness for anyone who has interest in space travel. During this 5 day span 3 tragedies occurred taking the lives of 17 NASA astronauts over the course of 36 years. While trips into space have become reasonably common place with launches to the international space station being done by governments and various commercial ventures sending anyone with the money into orbit, it is important to take a breath and reflect on the pioneers of space travel. Apollo 1 was scheduled to be the first manned Apollo mission, kicking off the program that would land men on the moon. 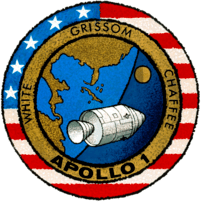 On January 27th, during a routine launch pad test a fire broke out in the cabin of the Apollo module killing all 3 crew members Command Pilot Virgil “Gus” Grissom, Senior Pilot Edward H. White, and Pilot Roger B. Chaffee. These men were working towards the goal, given by President Kennedy, to land a man on the moon by the end of the 1960s. On January 28 1986, 73 seconds after taking off on its tenth mission, the space shuttle Challenger exploded over the Atlantic Ocean just off the coast of Florida killing all 7 astronauts aboard. Challenger was the second shuttle built and this mission was special in that it included among it’s astronauts Christa McAuliffe, a New Hampshire school teacher who had been selected as part of the “Teacher In Space” program to be able to talk to school children and educate them during orbit. As a direct result of this, the launch of Challenger was scheduled to be at a time when schools would be in session across the country as a way to kick off the discussion. The other astronauts killed in the explosion were Mission Commander Francis R. Scobee, Pilot Michael J. Smith, Mission Specialists Judith A. Resnik, Ellison S. Onizuka and Ronald E. McNair, and Payload Specialist Gregory B. Jarvis. For my parents’ generation of Americans, everyone remembers where they were when they heard about JFK being shot. For my generation we remember where we were when we heard about the Challenger explosion. On February 1st 2003, after almost 16 days in orbit, the space shuttle Columbia exploded during re-entry. Columbia was the first mission capable space shuttle (Enterprise had preceded it but never actually flew any missions – Enterprise was used for glide tests only) and had flown 27 missions prior to STS-107. Among the 7 astronauts killed was Colonel Ilan Ramon of the Israeli Air Force who was the first Israeli in space. The other astronauts killed in the explosion were Mission Commander Colonel Rick D. Husband, Pilot Commander William C. McCool, Payload Commander Lt. 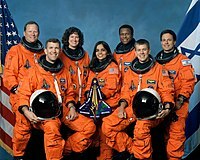 Colonel Michael P. Anderson, and Mission Specialists Kalpana Chawla, Captain David M. Brown, and Captain Laurel Clark. When we think back on the advances in space travel made over the past 55 years since the launch of Sputnik, we tend to think of John Glenn and Neil Armstrong. We think of the majesty of launches of the old Saturn rockets and of the space shuttle. And that’s OK. We need to remember the successes. But every so often, we need to take a minute and reflect on the sacrifices made to get there. Agree. Americans tend to focus on success and gloss over failure. Maybe that’s why we are (were?) so dynamic, but I agree that it is important.